The caliber and impact of our thought leadership is reflected in an impressive track of publications in the top management journals (including Harvard Business Review, MIT Sloan Management Review, and the Wall Street Journal). Twitter: Social purpose – brand or reputation? In 1995, Royal Caribbean Cruises Ltd. acquired Celebrity Cruises Inc., an award-winning pioneer in premium cruise travel. Over the next five years, RCCL poured over a billion dollars into new vessels and advertising to support Celebrity, which seemed like the perfect complement to RCCL’s Royal Caribbean brand. 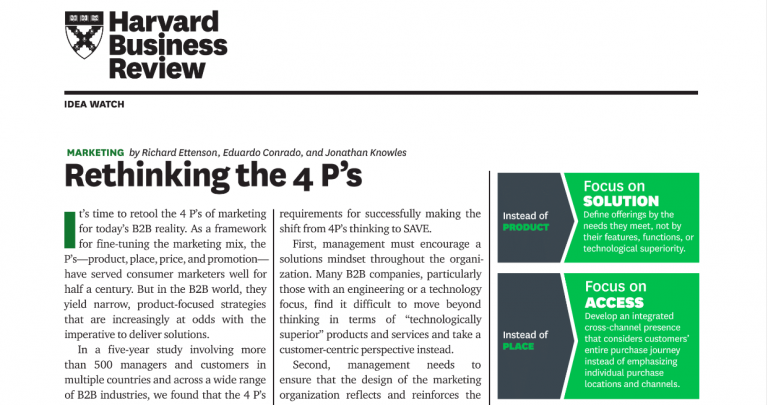 It’s time to retool the 4 P’s of marketing for today’s B2B reality. As a framework for fine-tuning the marketing mix, the P’s—product, place, price, and promotion— have served consumer marketers well for half a century. 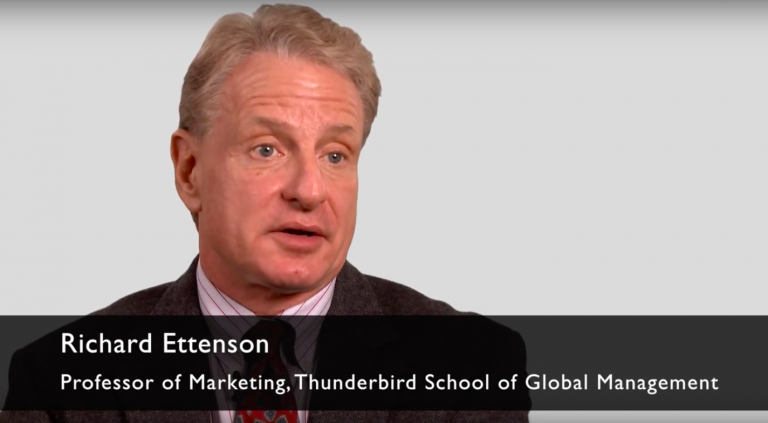 Marketing is the business discipline focused on how a company interacts with its markets. Although the fundamental purpose of marketing remains constant over time – namely, to support the business’ goal of creating customers – the activities of marketing change to reflect whatever is most critical to acquiring and retaining customers at any given time. This means that, among all the business disciplines, marketing is the most sensitive to changes in technologies that affect how customers discover, evaluate and purchase products and services. Marketing is therefore the most context-dependent of all the business disciplines. It is therefore to be expected that marketing should have been through a number of “eras” since it first emerged as a business discipline at the beginning of the twentieth century. The goal of this report is to analyze the changes in technology that give rise to each era in order to understand how marketing should respond to the latest technologies – digitization, the Internet of Things, and personalization. 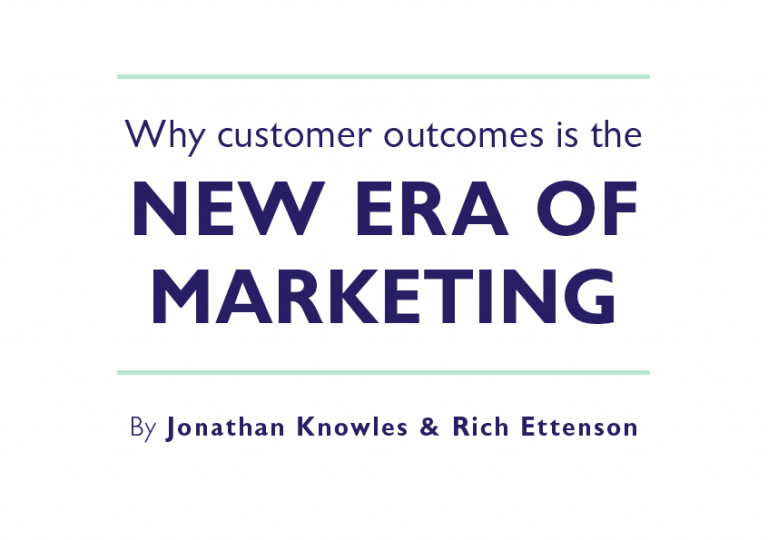 Our conclusion is that a focus on customer outcomes is what is required to ensure that marketing continues to meet its purpose of acquiring and retaining customers. 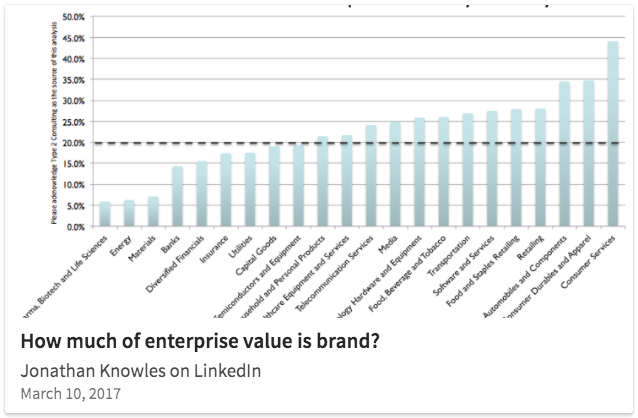 LinkedIn: How Much of Enterprise Value is Brand? Among financial researchers, it’s well established that newly merged companies usually underperform the market. 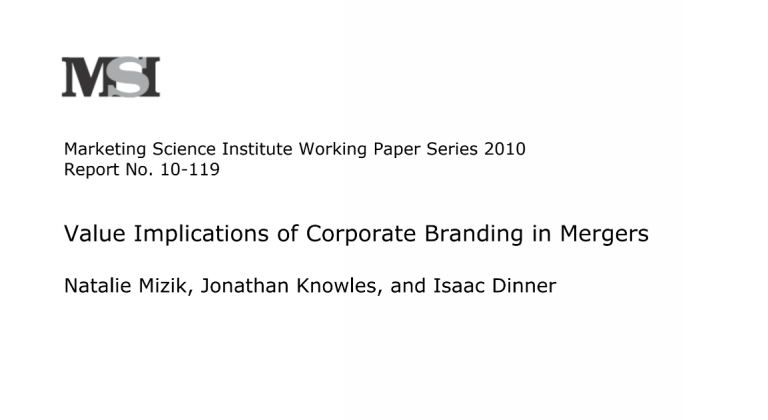 There’s an infrequent but important exception, though: Corporations that brand themselves with a “fusion” of the merging companies’ identities typically enjoy higher returns. Mergers are central to corporate growth strategies but they are disruptive events that cause customers, employees, and investors to reassess their relationship with the merged entity. T2’s research reports represent the distillation of our thinking on important business topics. In order to enable us to build communities of common interest around these topics, we ask that you share some details about yourself and the basis for your interest. Please note that we only respond to professional email addresses, not personal ones.